US Hedge Fund backed Elliott Green Power have successfully opened the Susan River solar farm. 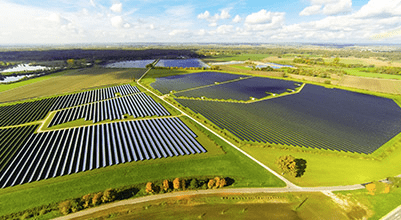 The 95MW farm adds to their current portfolio and is another great step in the right direction for solar farms in Australia and Esco Pacific. Construction on the Susan River solar farm commenced in mid-January last year and about 150 workers helped finish the farm, which occupies 176 hectares and has 350,000 solar panels. Construction was handled by Esco Pacific, who have plenty of experience in the field, being responsible for projects such as the Finley Solar Farm. Esco chief executive Steve Rademaker said the project has created five to ten full-time jobs post-construction. “Elliot Green Power’s $175 million investment is another demonstration of industry’s confidence in the sector and further evidence that consistent energy policy from this Palaszczuk government drives generation investment,” Lynham said in a statement. RenewEconomy are reporting that another of Elliot Green Power’s farms is almost complete (Teebar Solar Farm), and a third (North Aramara Solar Farm) which will be finished later this year.